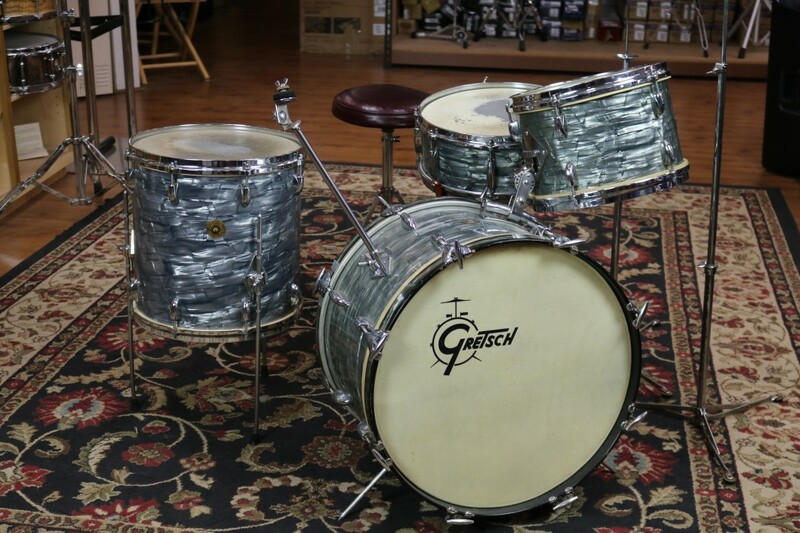 This vintage Sky Blue Pearl Gretsch Kit is in very good condition with some slight lifting in the wrap in a couple places. 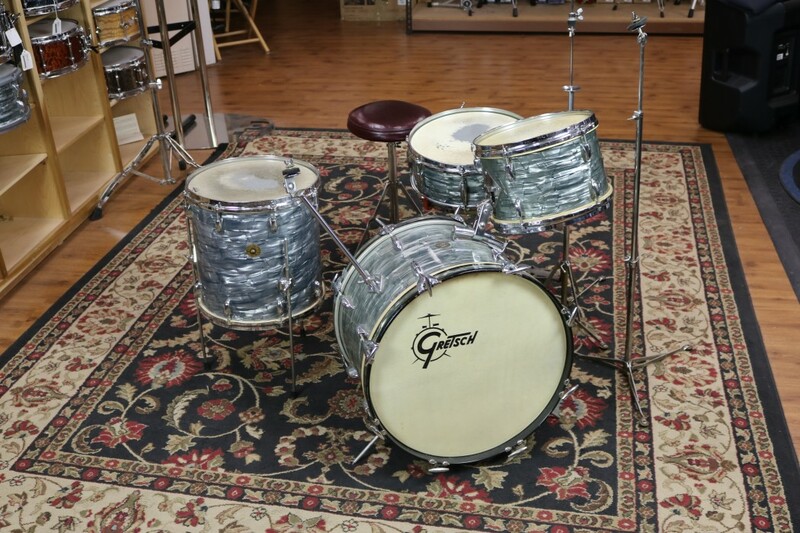 The kit sizes are 14x20 Bass Drum, 8x12 Mounted Tom, 14x14 Floor Tom and 5.5x14 Snare Drum with a Micro Sensitive throw off. 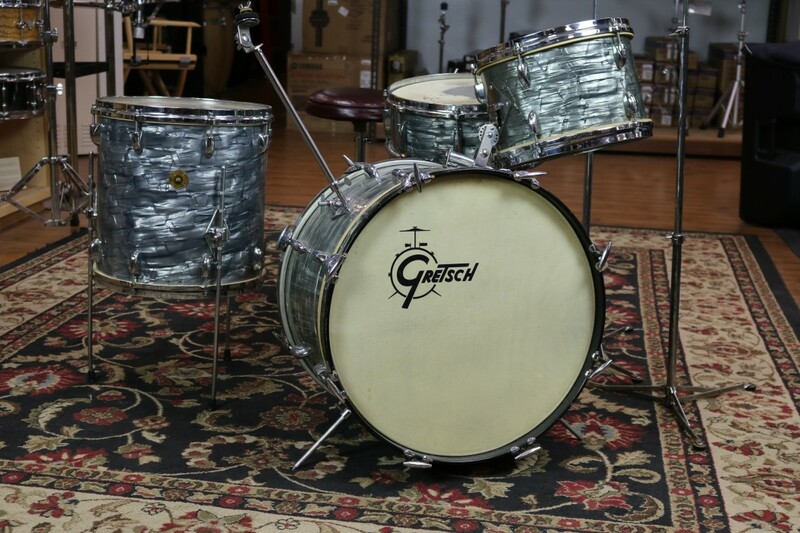 The hardware includes a Slingerland Epic bass drum pedal, vintage Ludwig flat base hi hat stand, Gretsch cymbal stand and L-Arm. 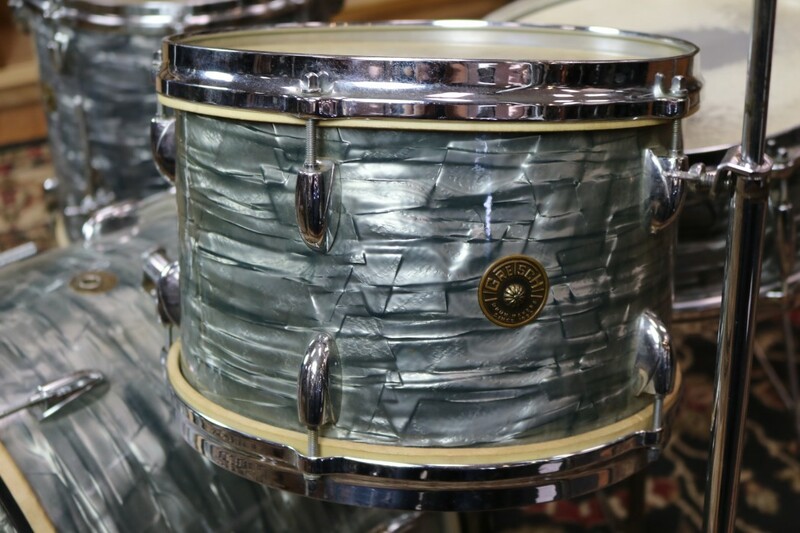 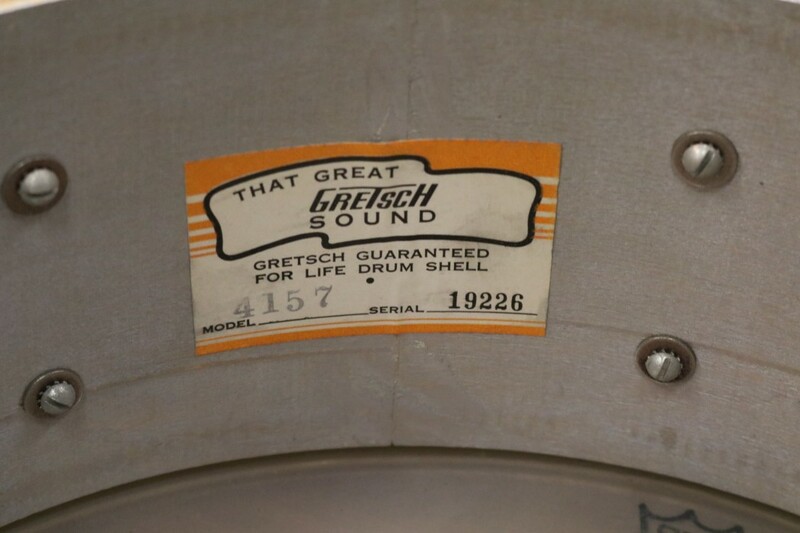 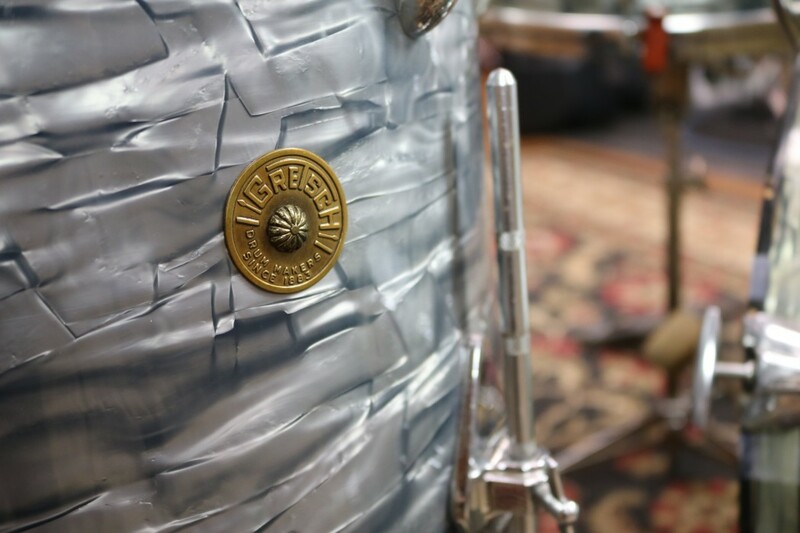 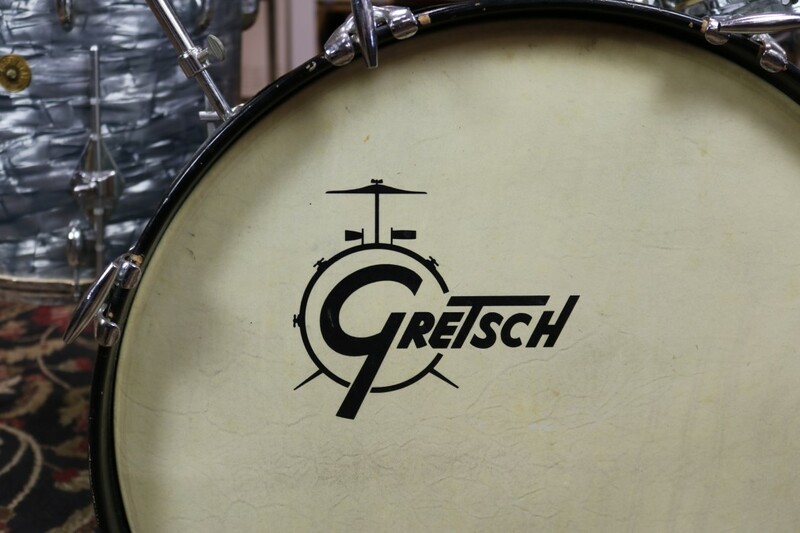 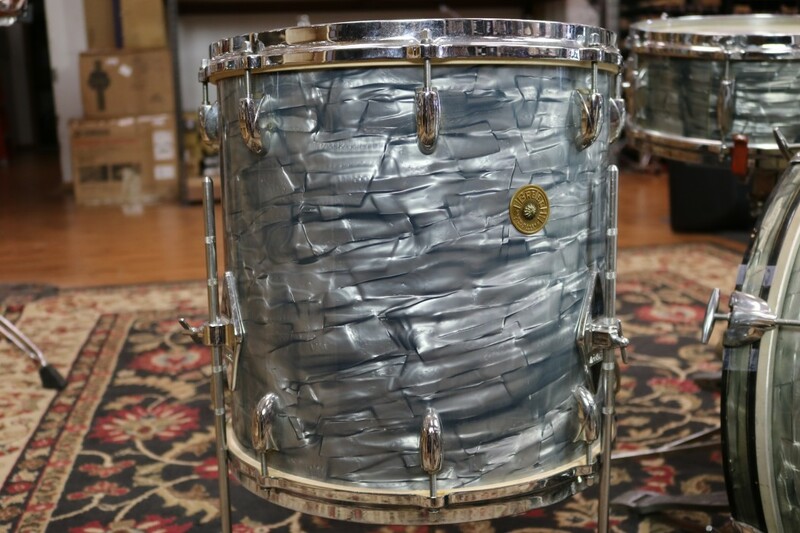 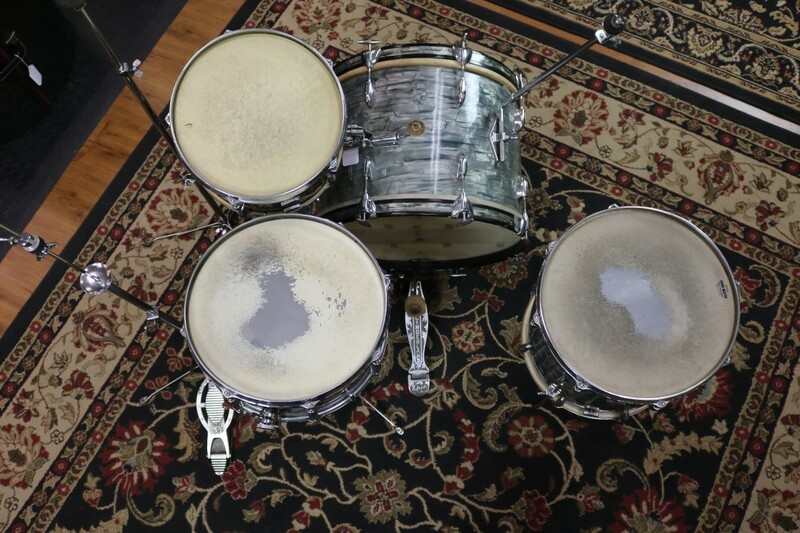 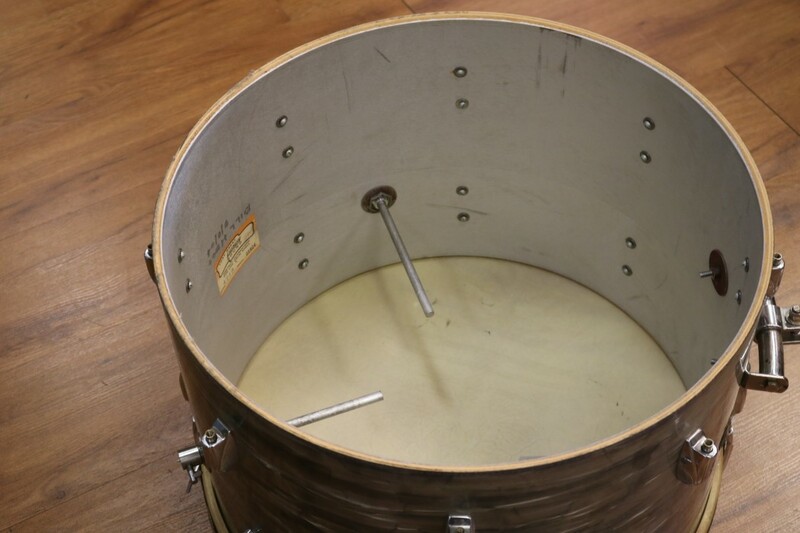 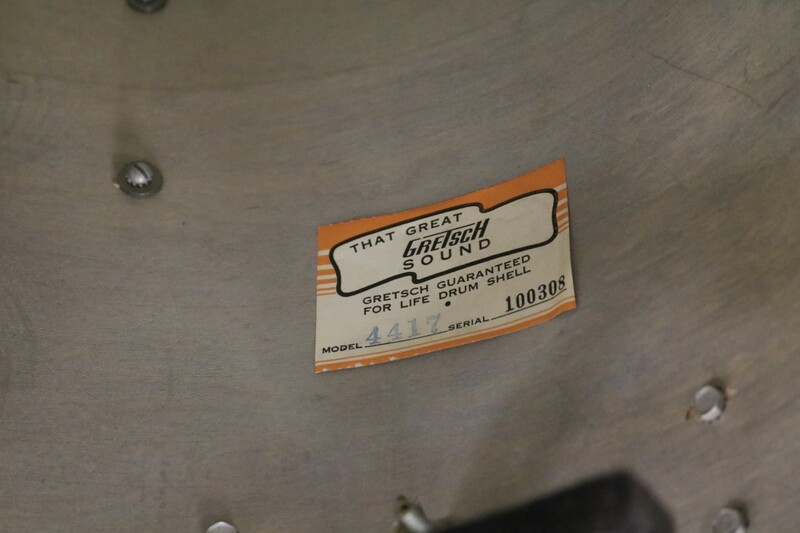 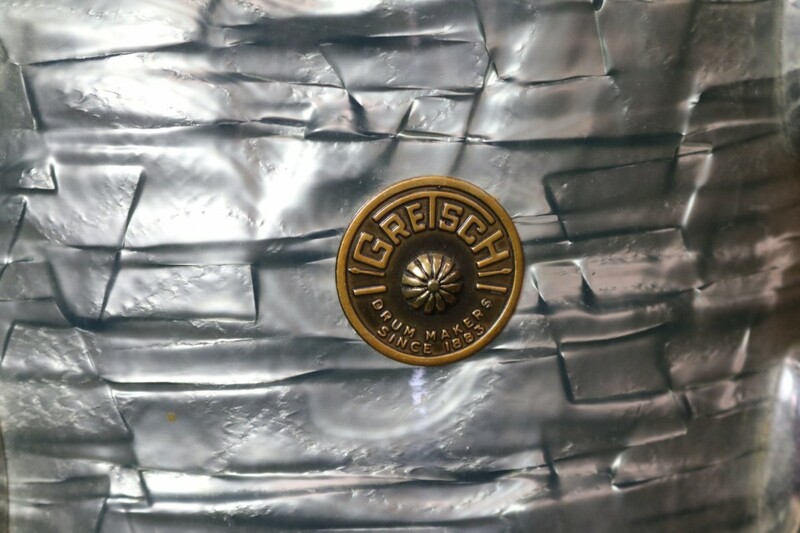 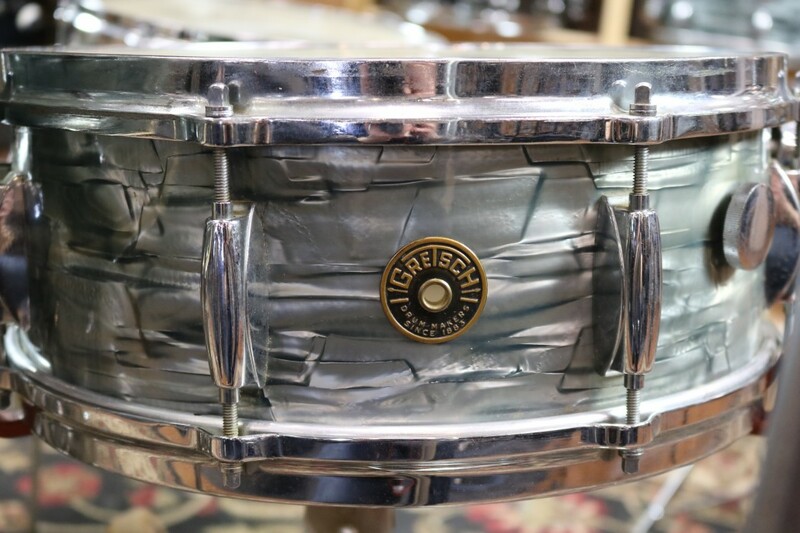 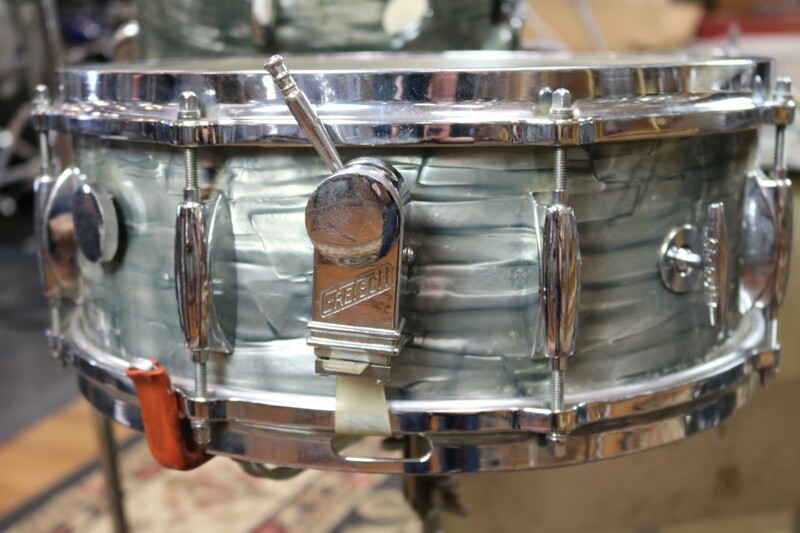 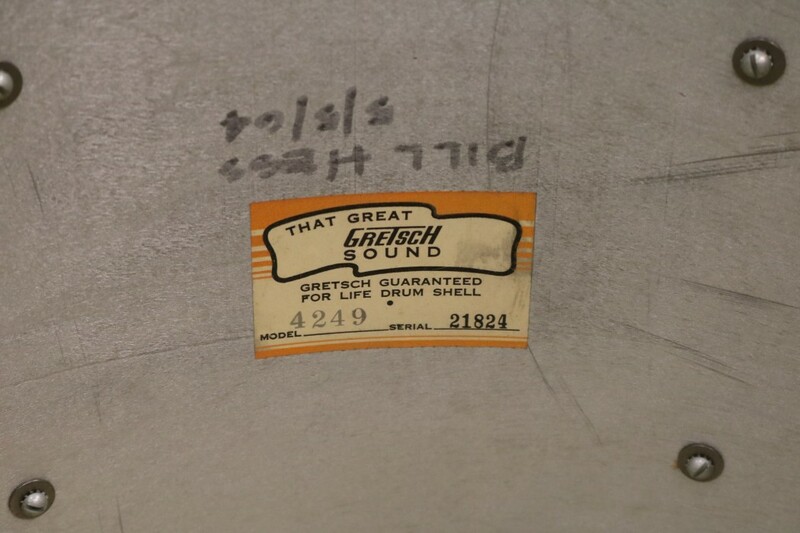 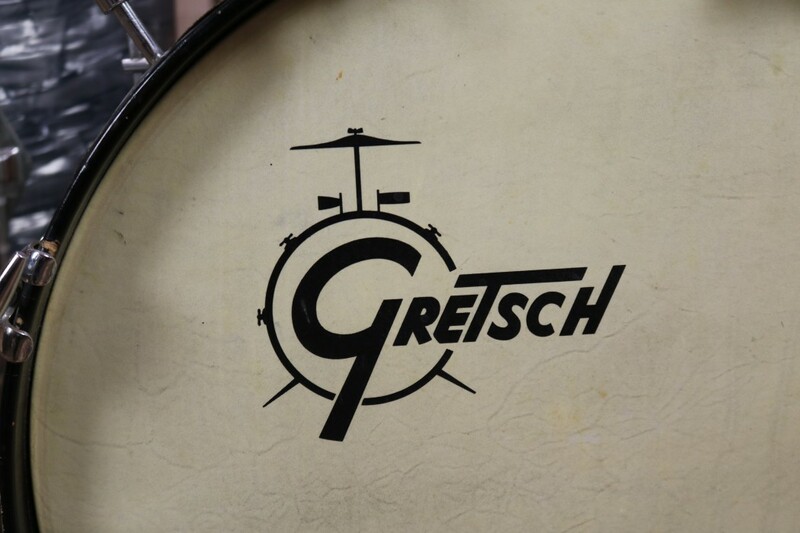 Kit features many original Gretsch mylar heads on snare drum and floor tom. 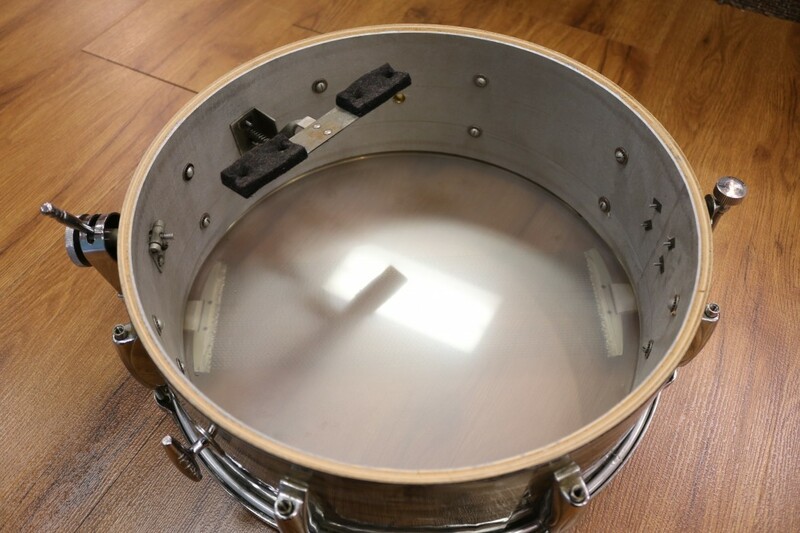 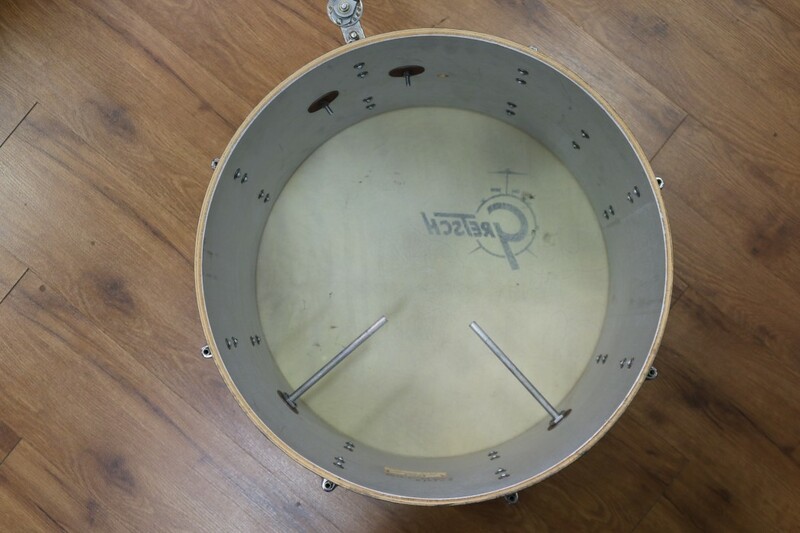 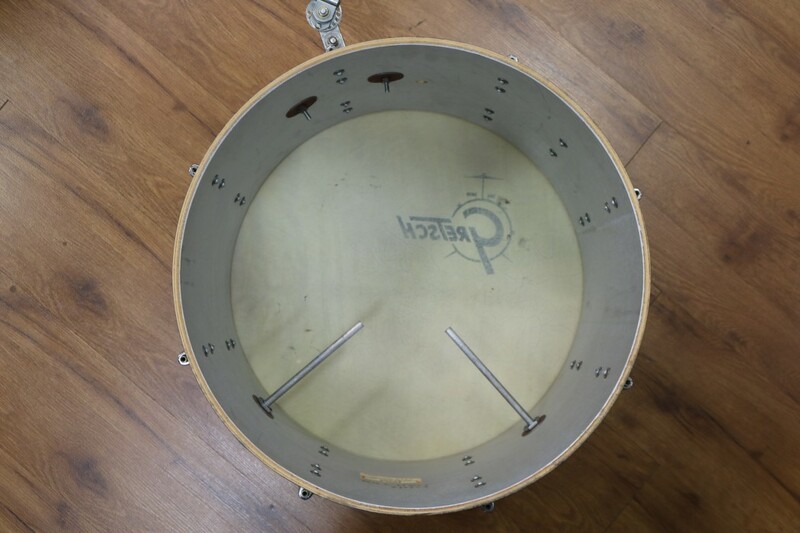 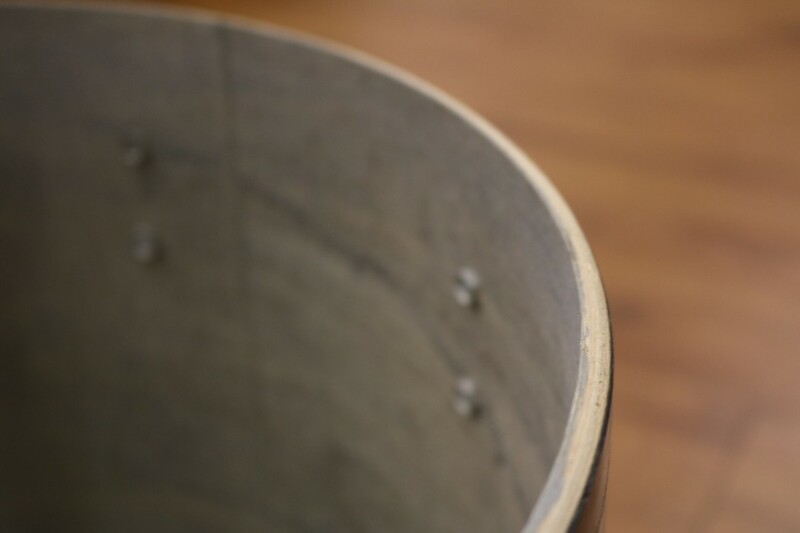 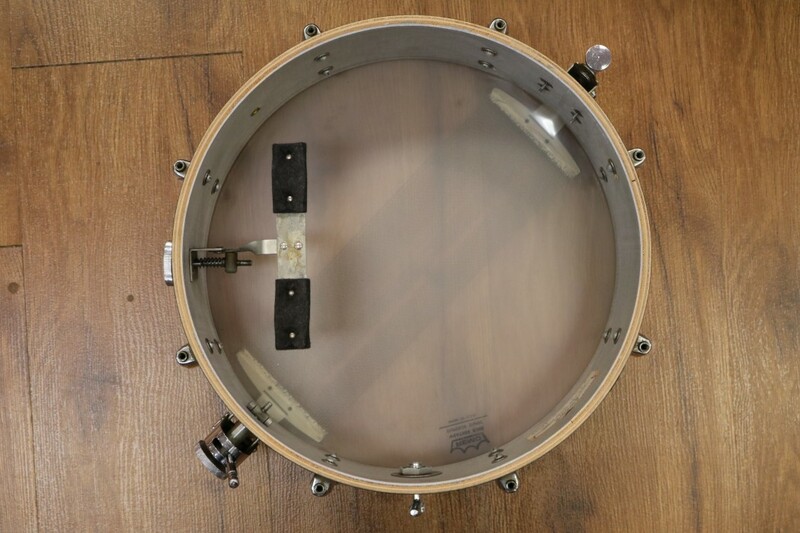 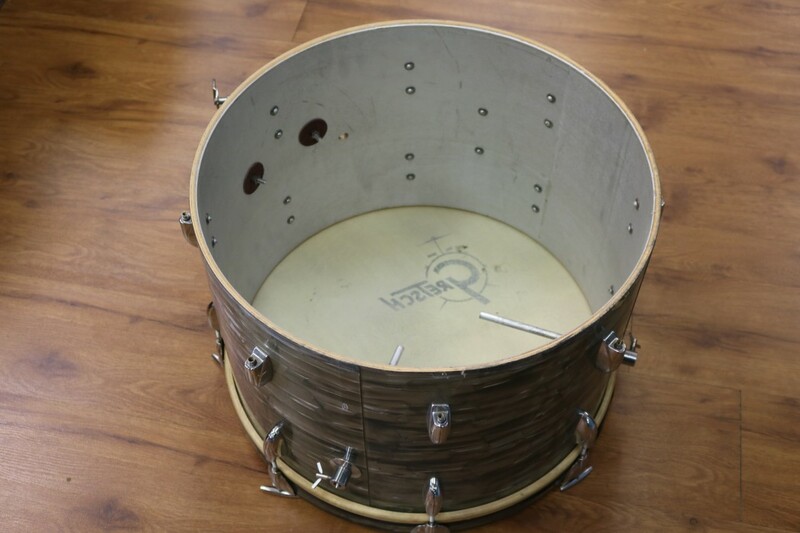 Front bass drum head is original calf skin and original calf skin also on mounted tom. 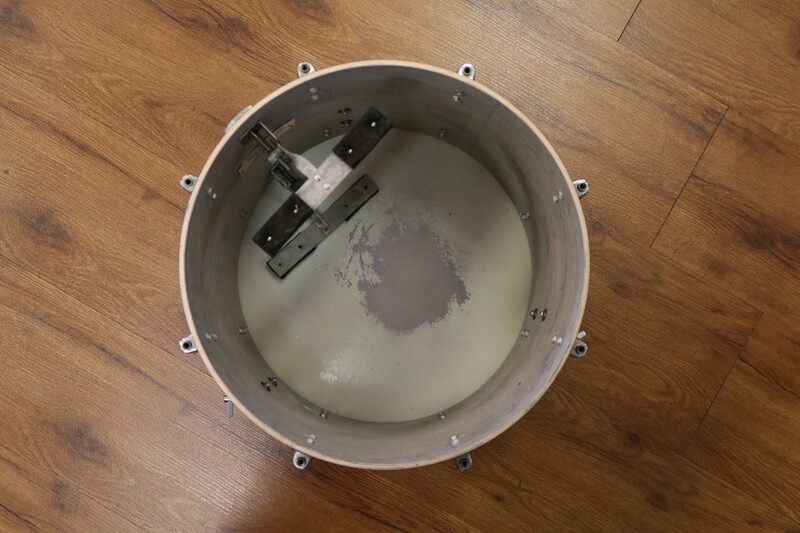 Kit also includes soft cases and rolling trap case.